Coach – did you say coach? You are here: Home / Coaching / Coach – did you say coach? Sporting organisations all over the country are dependent on the goodwill of their members to deliver a valuable service to their communities. They need volunteers to do their fund raising, to organise their events and, crucially, they need coaches to look after their players – young and old. Soccer clubs need to be particularly active in seeking volunteers because the soccer culture in Ireland, although historically strong, especially since Italia 90, is nowhere near as strong as that of the GAA. GAA session are often coached by 4 or 5 adults, whereas soccer panels are happy enough to implement the FAI recommended “two deep” rule. Carrigtwohill United AFC is s typical middle size soccer club from this viewpoint and it depends on a core of volunteer coaches who devote time to coaching a weekly session or two and coach their panels in the weekend games. Because this is demanding, it is important that clubs make an effort in making it interesting, stimulating and viable for coaches to come in and look after large groups of players. 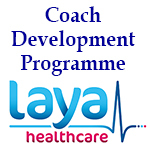 CUFC has partnered with laya healthcare to put together a coaching development programme from September 2014. The programme is designed to enable new members, player or parent with little or no experience/knowledge in coaching, to get involved with the academy (players aged 6 to 9 years old) or schoolboy (players aged 10 to 16) sections of our club and through training, mentoring and experience develop into a qualified and experienced club coach with 2 seasons. 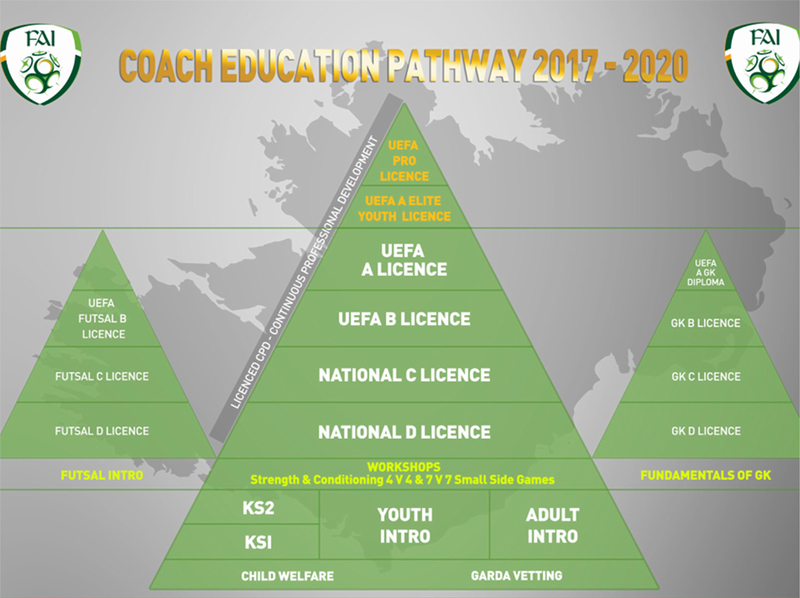 The basis of the coaching development programme is very much grounded in the principles promoted by the FAI and the material taught in the FAI coaching courses which all CUFC current coaches have followed. The ambition of the Club is to attract new coaches and to bring them up to a level where they can themselves take charge of a schoolboy panel. Hopefully, this new programme, well supported by laya healthcare, will deliver just that. And it is needed, because CUFC is faced with a drastic increase in its membership, mirroring the increase in the size of the village, the increase in pupil in its schools as well as an increase interest in soccer. From just over 100 members only a few years ago, the Club has just registered over 250 members in the 2014 / 2015 season and this is rapidly taking the club towards a new dimension. CUFC now has 4 academy groups – players born from 2008 to 2005, 6 schoolboy teams – U11s to U16s, a Youth team – U17s and two adult teams playing in two different division of the Athletic Union League. This adds up to 13 distinct panels, 9 of which play in formal leagues. In total the club is involved in well over 200 fixtures per seasons and it is easy to understand the scale of organisation that this requires. Facilities need to be up to it, with the increase in the number of the training slots and the increase in the number of matches, but coaching is really at the core of it, with the availability of a group of dedicated coaches an absolute necessity if the Club’s teams are to compete successfully at any level within their leagues. This is why the implementation of the new scheme is so important for the Club at this point in time.